Cirrus Bagged Canister Vacuum Cleaner. 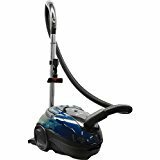 Full Bag Indicator, Variable Speed, Blue, Straight Suction Machine, Powerful 12amp Motor, Automatic Cord Rewind, Hepa Filtration, Tools With Deluxe Telescopic Wand, 1 Year Warray. Comes with: hose, wand, crevice tool, dust brush. If you have any questions about this product by Cirrus, contact us by completing and submitting the form below. If you are looking for a specif part number, please include it with your message.